KIA’S city car contender, for all its snazzy styling, is all about the numbers. Three or five doors, seven years of warranty, 67 claimed miles to every gallon and yours for a shade under eight grand. 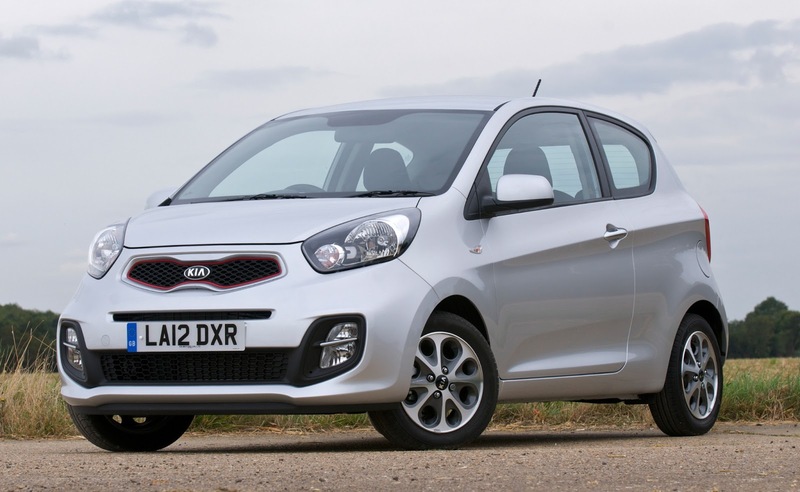 There is, however, one figure in particular that defines this 1.0 litre, entry level twist on the pretty Picanto; the three cylinders you get under the bonnet. It makes an interesting, offbeat throb when you put your foot down, which is infinitely nicer, to my mind at least, than the 2CV-esque rattle you get from Fiat’s TwinAir offerings. The only problem is you’ll be doing that a lot, because this emphatically not a fast car. The 1.0 litre triple, great though it sounds, really makes a meal out of moving you about, forcing you to hunt through the rev range to get the best out of it. That, in turn, ruins the real world fuel economy, and the owner of the particular car I borrowed struggles, despite his best efforts, to better 40 to the gallon around town. Weirdly, it reminds me of the Mini 1000 I had as my first car – it actually did less to the gallon than the 1.3 that replaced it simply because you had to work it harder. I reckon you can pull of the same trick with the Picanto; be smart, save up and go for the extra oomph of the 1.2 litre, four-cylinder version. The rest of the Picanto package, however, fares rather better. It looks great, it’s cheap, both to buy and run, the seven year warranty is something Kia – quite rightly – are particularly proud of, and on the inside it feels substantial in a way neither the Panda nor the Aygo/C1/107 triplets manage. All of which brings me to what I reckon is the Picanto’s biggest flaw. If, like me, you’re a little larger of frame, you’ll find your elbows brushing the doors as you drive along, and that’s something I haven’t encountered in any of the other city car contenders. Nor is it especially exciting to drive. There’s nothing wrong with the way the Picanto goes, stops and handles – engine aside – the steering’s too light and lacking in feel. Great for its natural habitat of congested city centres, but take it anywhere more challenging and you’ll be craving the feedback you get from most of its rivals. The Picanto’s pertly styled, generous on both price and warranty and miles better than the company’s previous entry-level offerings, but my money would still be on a Fiat Panda, Toyota Aygo or VW Up, all of which offer a more engaging small car experience for not much more. This little Kia’s got some great numbers on offer, but for me they just don’t add up.